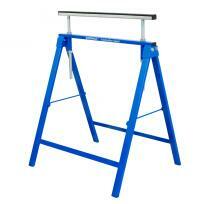 The patented Aardwolf Slab Lifter is an accessory for lifting and moving slab-form loads. The Aardwolf Slab Lifters incorporate a spring-loaded latch that automatically releases the lifter from the slab once the slab has been fully lowered to the ground. 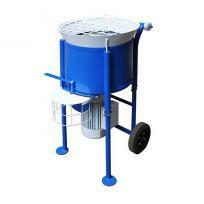 This makes the process of lifting and lowering of slabs a one-man operation. 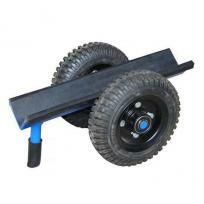 Traditional devices require a great deal of room to engage the inner face of the slab, which can place the slab out of balance and could injure the operator. The Aardwolf Slab Lifters requires only a small movement of the slab to engage and grip the slab, which is generally well below the overbalance angle thus eliminating the danger to the operator. 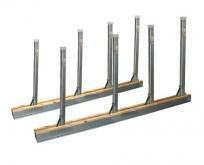 These lifters allows for close packed slabs to be lifted out of racks and containers. 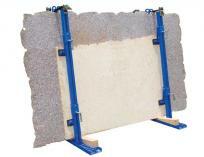 Because the clamping mechanism is to the front of the slab, it allows panels to be placed close against walls. 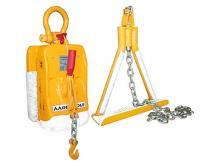 Aardwolf is the only manufacturer of a remote controlled slab lifting clamp.